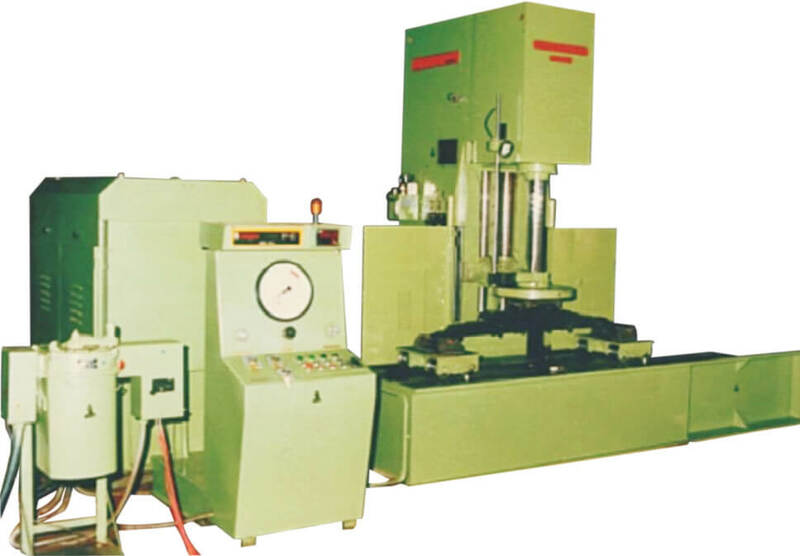 Karisohn Spring Scragging Machines are Custom Built for a Process of Repeated Compression and Decompression of Springs to Set Distances W.R.T Load. This is a Process Springs Need to Undergo in Manufacturing to bring them to Standard Set Length and Checking for Cracks. Data Accusation Using Electronic Gauging to Inspect if Component is within Allowable Parameters of Load vs Deflection. Inbuilt Part Programme for up to 100 Components. Scragging and testing of Railways, Automobile & Industrial Springs. No.of Storkes During Scragging: 20 Strokes/min at 110mm Stroke Length.